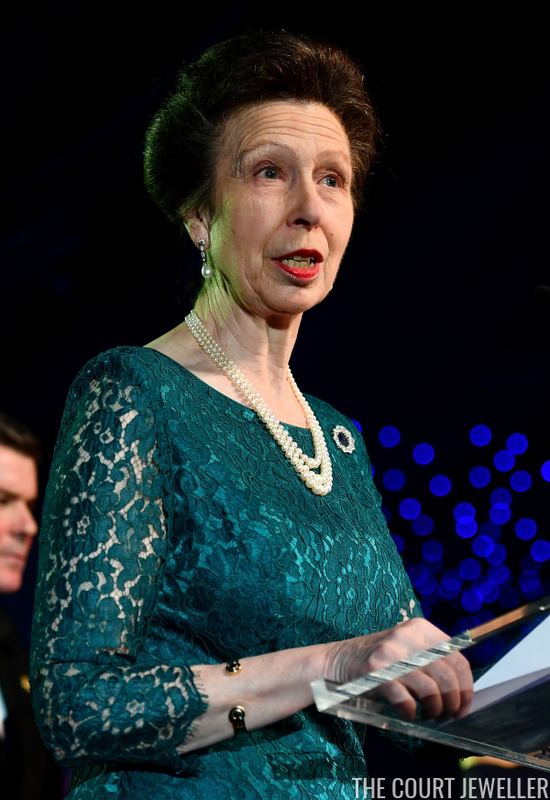 The Princess Royal attended the Team GB Ball in London on Wednesday, and she brought some major pearly jewels with her for the occasion. 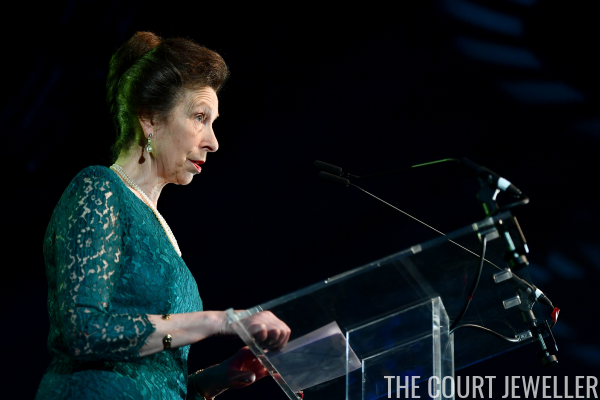 With her green lace evening gown, Anne wore diamond and pearl drop earrings and a triple strand of pearls. She also added a gold cuff bracelet and a circle brooch. 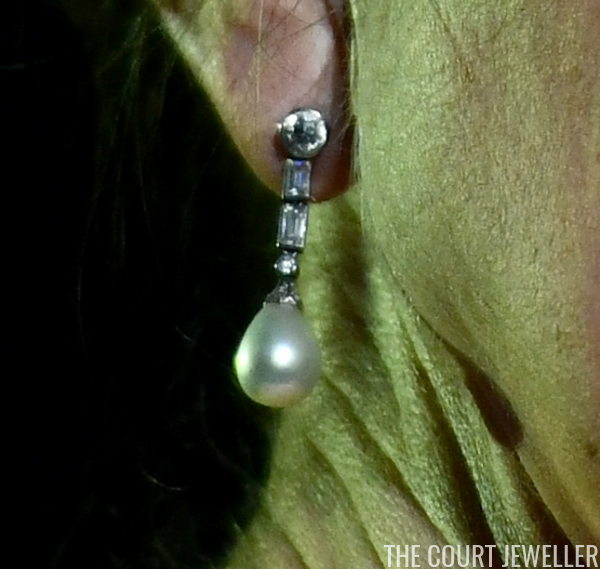 Here's a close-up of the diamond and pearl earrings. The earrings feature round and baguette diamonds and pearl drops. And here's a better look at the entire ensemble.